The Aguape brothers: Dionicio (20), Simon (15), and Juan Carlos (23) rehearsing outside their home. They are amongst the most talented family of musicians of the village. 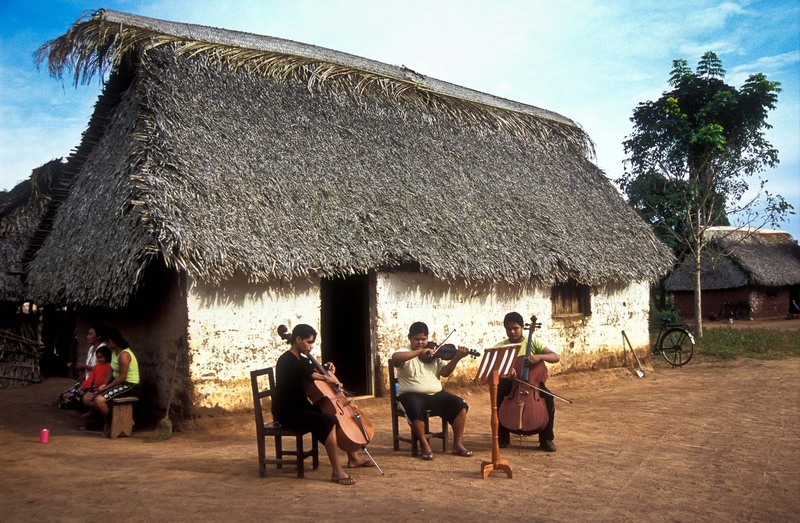 They play Vivaldi, Telermann, Bach, Beethoven, Hayden, and other great composers, Urubicha, Bolivia.